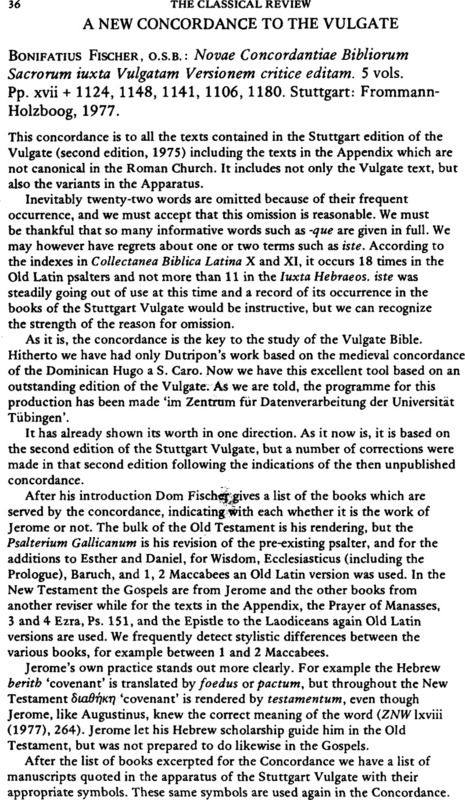 A New Concordance to the Vulgate - O.S.B. Bonifatius Fischer: Novae Concordantiae Bibliorum Sacrorum iuxta Vulgatam Versionem critice editam. 5 vols. Pp. xvii + 1124, 1148, 1141, 1106, 1180. Stuttgart: Frommann-Holzboog, 1977.